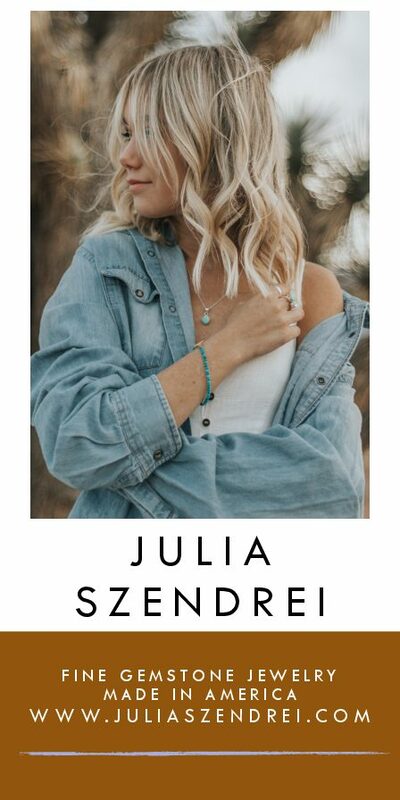 KENDAHL JAN JUBB IS A WOMAN OF MANY NAMES, AN ARTIST OF MANY COLORS AND A HUMAN BEING OF MANY ATTRIBUTES. 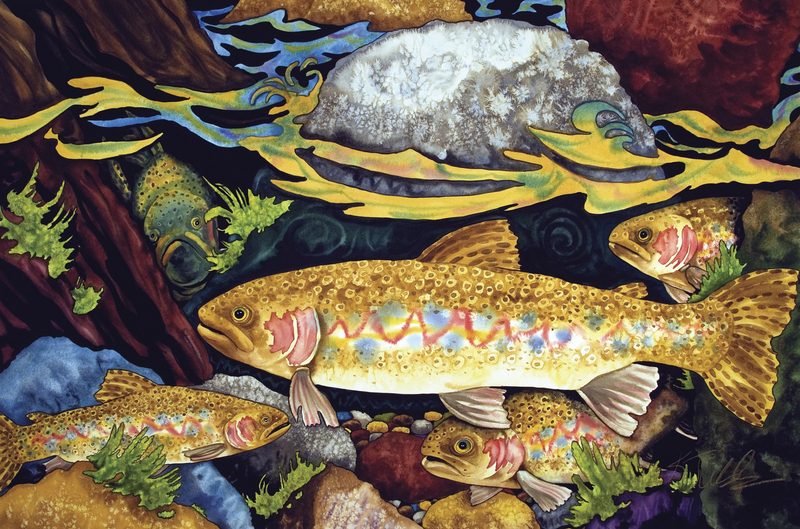 The Missoula, Mont., painter’s celebratory use of a watercolor palette anchored by blues and ablaze with reds lends her aquatic series — chiefly the trout of the Big Sky State’s rivers and streams — a degree of vitality that abuts animation. There is an aura about Jubb’s work that breeds a kind of optimism among observers. 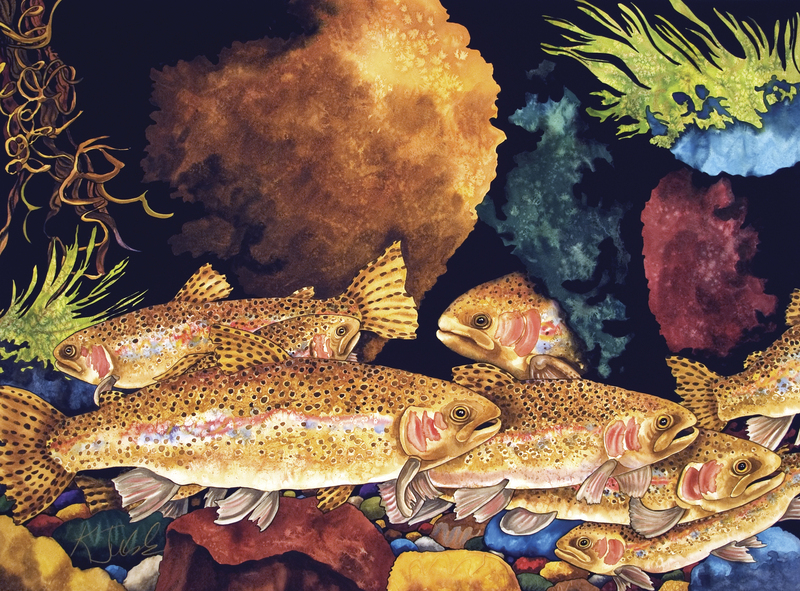 On a rainy night in November, art enthusiasts crowded into Murphy-Jubb Fine Art, the gallery in downtown Missoula that Jubb owns with her husband, Ram Murphy, and stood mesmerized before works that, like the fish and the water they depict, are ever on the verge of action. That state of constant, internal suspension vies mightily with the external movement in Jubb’s paintings, a paradox that commands attention. It is the same guiding set of contradictory principles that find their nexus in Jubb herself, a reserved woman who exudes warmth as vibrant as the colors that are her signature. Wordsworth described poetry as spontaneous emotion recollected in tranquility. He believed the creative process demanded the artist remove himself from the direct effect of his feelings to enable him to more perfectly capture the object of his inspiration. Jubb maintains this distance and finds that it enhances, rather than hampers, her work. There was a period when Jubb experimented with poetry as her mode of expression and though she was predisposed to the Romantics like Wordsworth, she found she could not fathom the depths with prose in the fashion she can with paint. Jubb’s parents encouraged her budding enthusiasm for art, paving the way for lessons at age 12 from noted artist Victor Harles in St. Louis. Jubb credits Harles for the palette she maintains to this day and for an early introduction to the concept of art as a profession. Jubb embarked on a detour when she entered college, at the University of Montana, intending to major in forestry or another useful occupation. “I took an aptitude test and it suggested zoologist or forester; I stuck my finger on a word,” she explains. It was only a matter of time before Jubb revised her course of study, aiming at art and finding love. She worked as a waitress by day and practiced drawing from late afternoon to mid-evening. Success built on success. Jubb’s art has been on exhibit in galleries from California to Tennessee, from Maine to Hawaii. Her paintings have been featured in shows at such institutions as the Cleveland Museum of Natural History and illustrate a host of books for young readers. And the Montana license plate featuring Jubb’s bear remains a top-selling specialty plate, with proceeds benefiting conservation efforts. Everyone from Constable to Gauguin — artists whose styles, if not subject matter, diverged widely — has sought to convey what can only be termed the state of intoxication that suffuses the painter wholly engaged in his work. Constable suggested painting and feeling were equivalent, while Gauguin intimated each color imparted a meaning unique to itself. Jubb perceives the universal in the particular. She has told her husband that one can listen to color and see music, as profound a sentiment as her work is accomplished. The principle comes to life in her paintings, which serve as symphonies that attract the eye. Jubb pairs the axiom with an uncanny understanding of the world underwater. 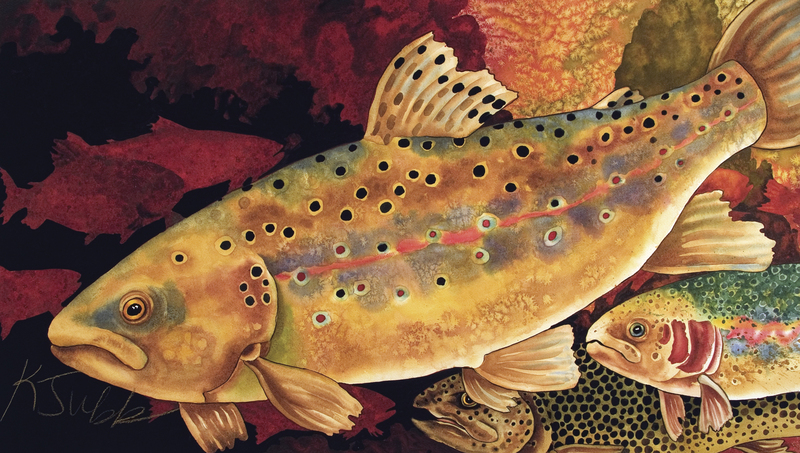 Gold Creek Trout, awash with the fish, is a repeating melody of burnt umber and cadmium yellow, with the peak note a vivid green. The tone softens in Five Rainbows, where ribbons of cerulean blue serve as the decrescendo. Jubb demonstrates yet another of her trademarks in the painting, which does indeed contain five rainbows, but all are not equally apparent. A trio undulates into view and acts as the central focus. 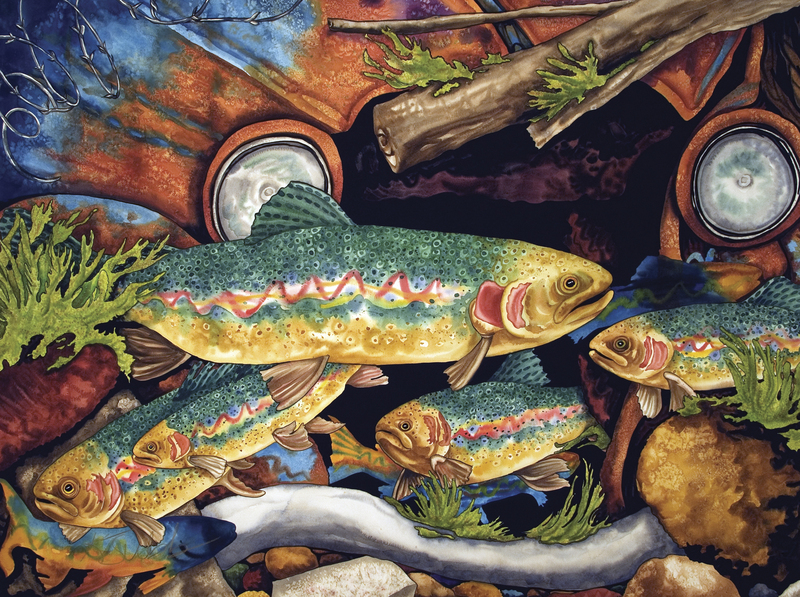 Two additional trout emerge from the painting, one at an oblique angle. They are the form of fish, animals that have undergone a kind of metamorphosis that exchanges characteristic for spirit. They retain a quicksilver quality that is suggestive of the artist herself. Jubb’s art boldly erects a bridge between the earnestness of Impressionism and the free spiritedness of Abstract Expressionism, a compelling invitation to the contemporary eye to cast a look back at an era of artistic endeavor informed by its visual imprint. Looking at an animal, Jubb has seen other spheres. “I’m trying to relay that alien otherness,” she says. Jubb is adept at depicting the contradictions that result when two worlds collide, employing juxtaposition in such pieces as Bitterroot River Riprap, where an abandoned vehicle, immersed for an eternity, composes the backdrop of an aquatic interlude in which trout placidly float amid the wreckage. 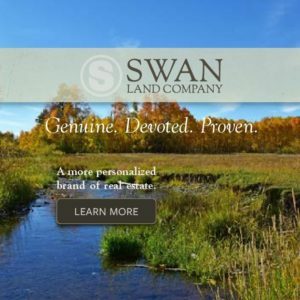 The contrast between the manmade and the natural is startling, as intended, and it acts as a form of still life by uniting the inanimate with the animate. 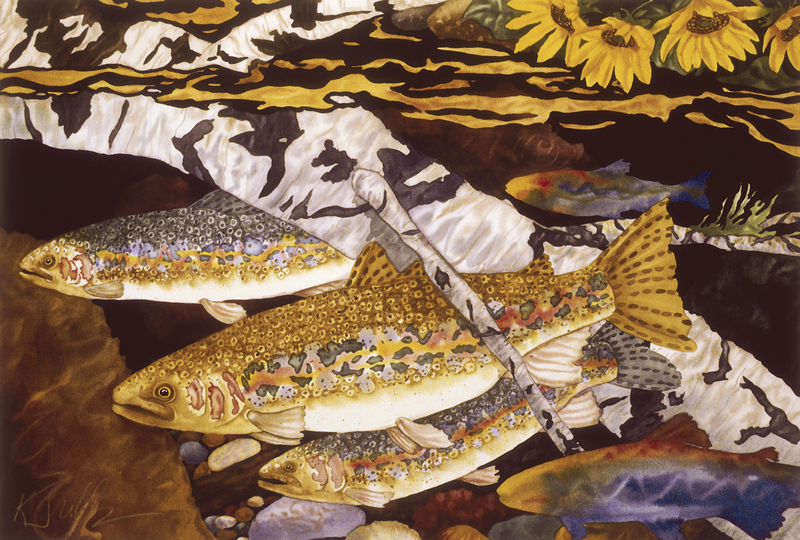 Sunflowers explode from the corner of Five Trout, an otherwise subdued composition where gouache heightens the contours of a submerged tree. Sunflowers, so memorably depicted in Van Gogh’s eponymous paintings, symbolize the work of the sun, a source of creative energy, and intimate the transitory nature of all things. If there is a touch of magic about the earth and its inhabitants, Jubb will be sure to discern it. It is this willingness to nurture the life of the imagination that lends power to Jubb’s paintings. “What I want people to feel toward the work, what I would want them to experience, is to share in the wonder of our world,” she says.